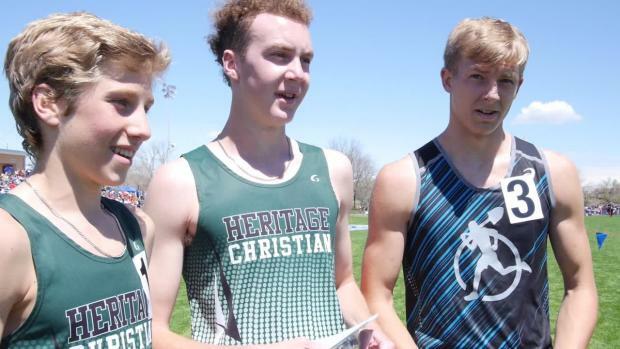 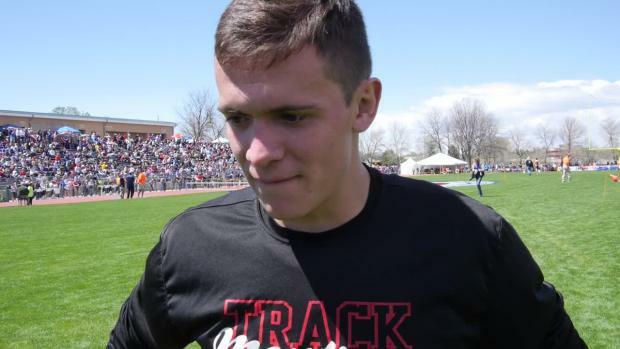 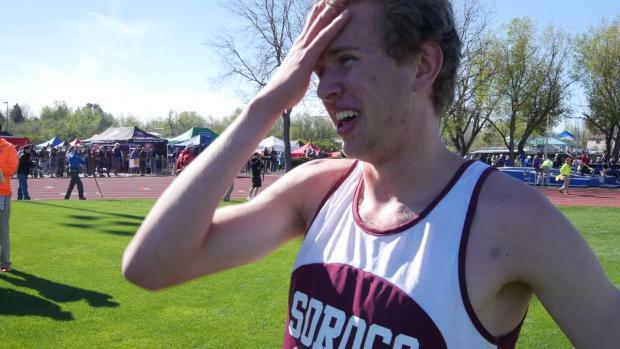 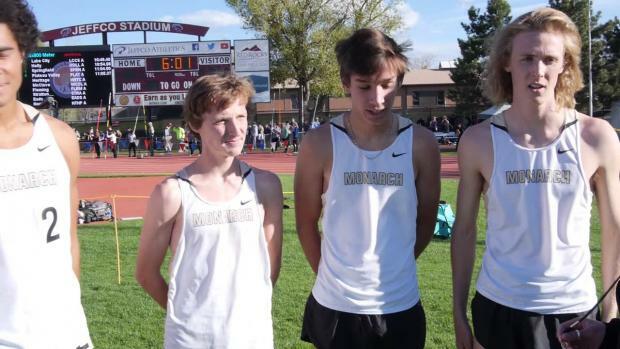 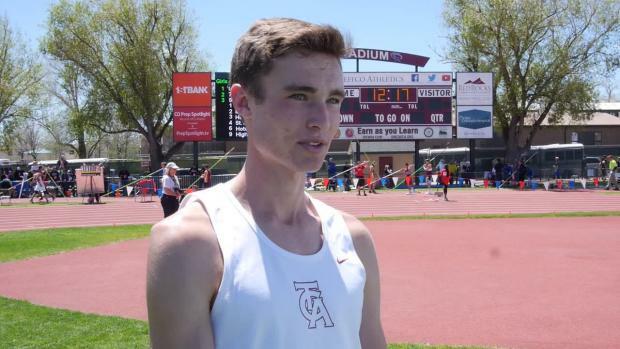 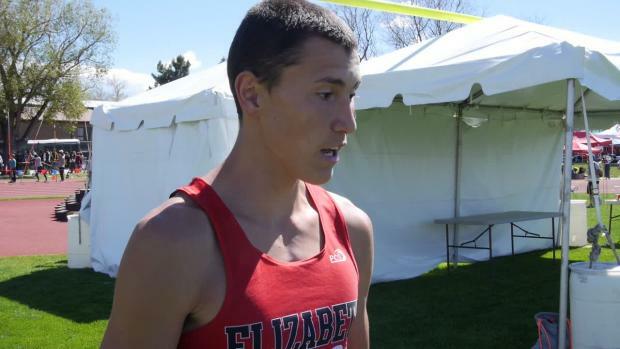 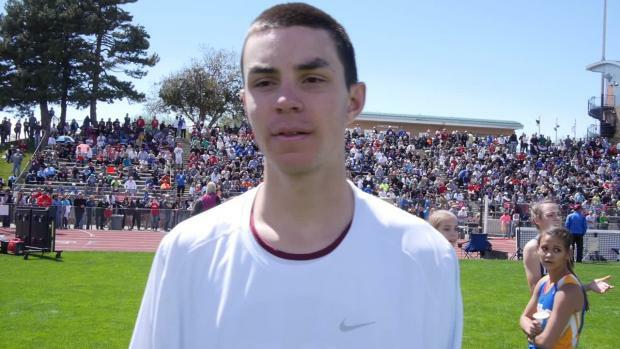 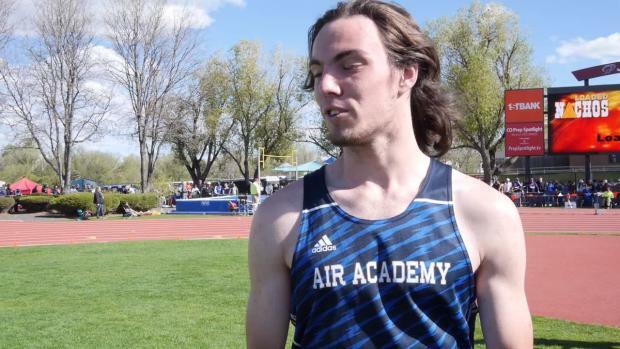 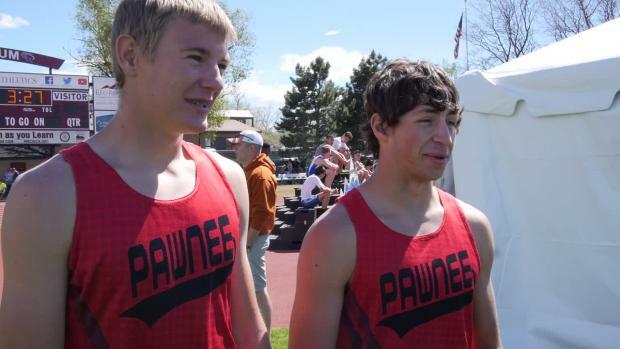 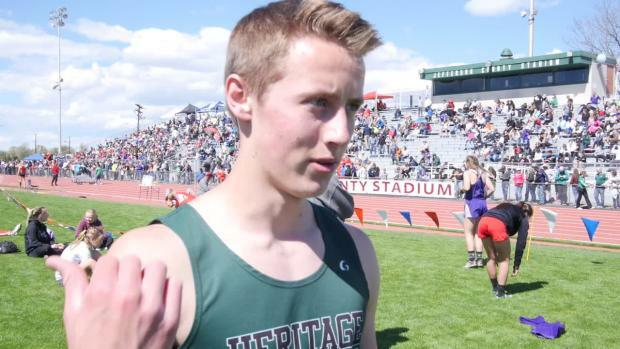 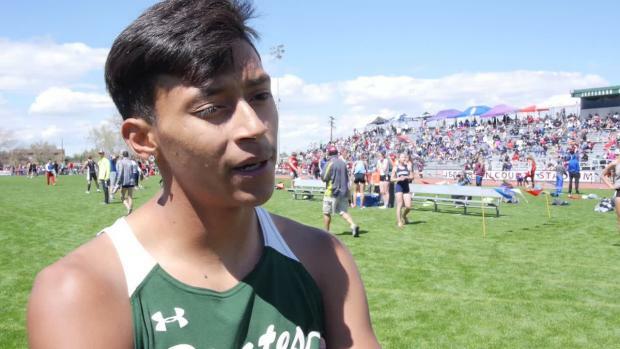 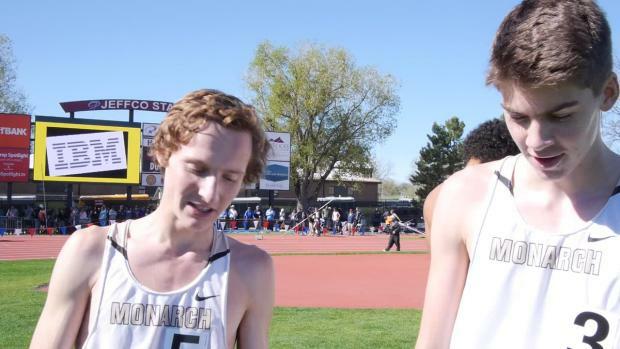 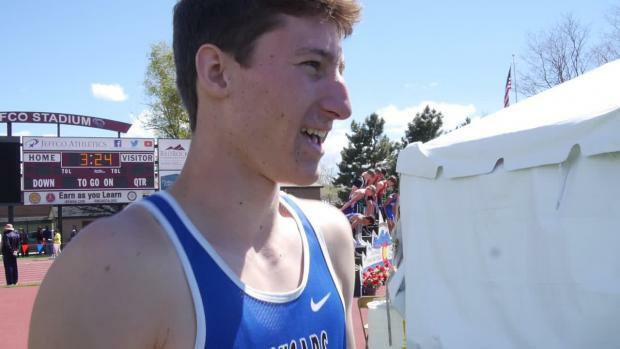 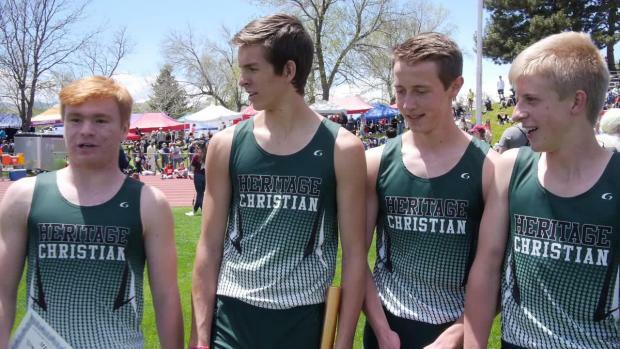 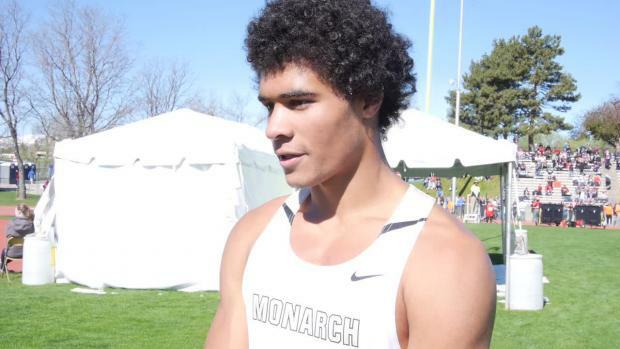 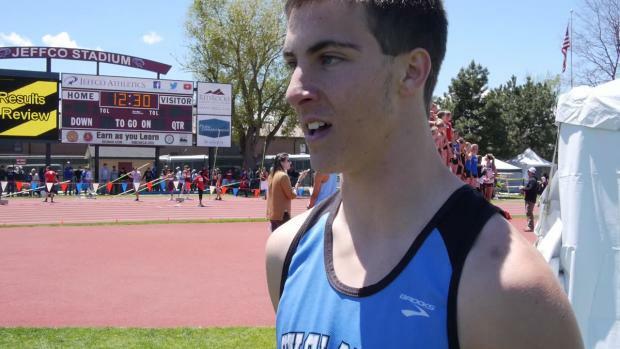 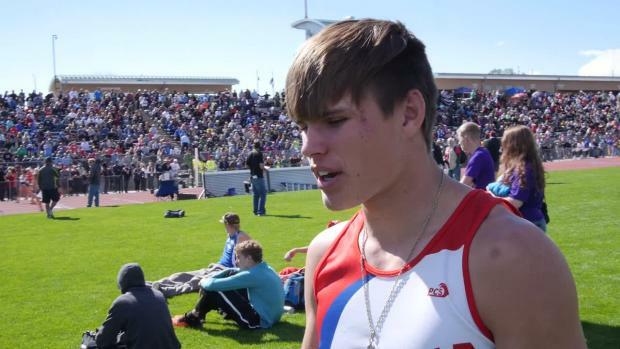 Jeremy Meadows broke from the 4A Boys 1600 field on lap three and wasn't heard from again, posting the top 1600 time of the entire state meet. 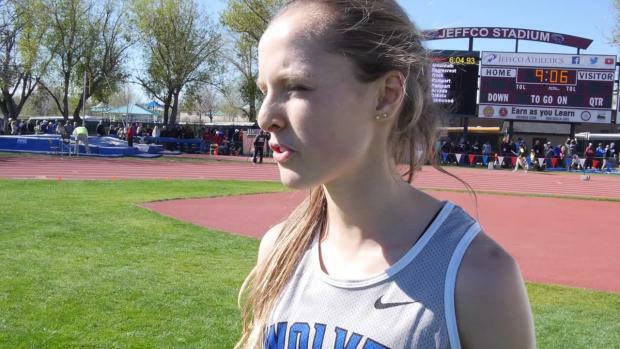 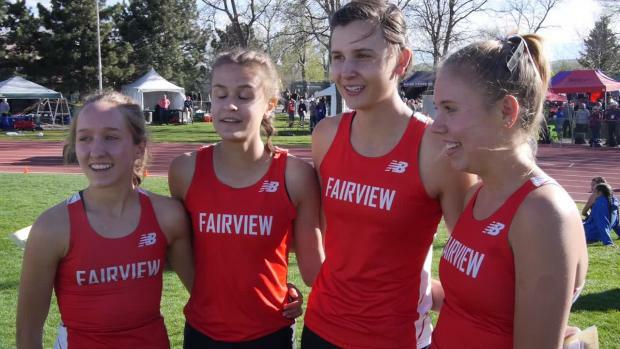 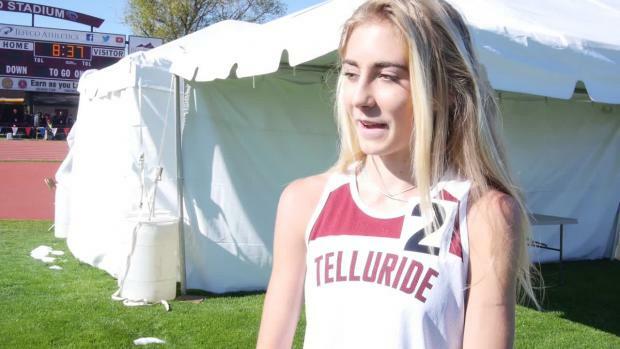 Taryn Ceglowski stunned everyone present with a 3A record 2:09.19 to post the top 800 time of the state meet. 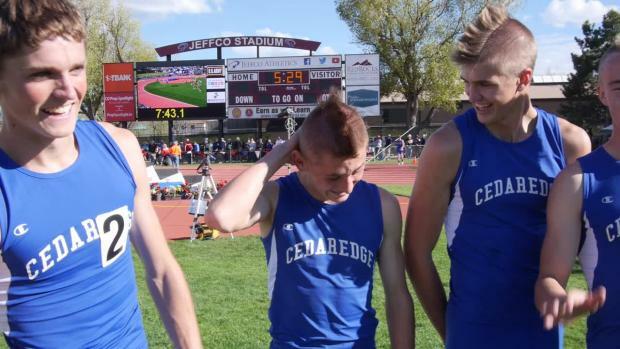 Regnor VonDedenroth celebrates a clearance, and a few fans do as well. 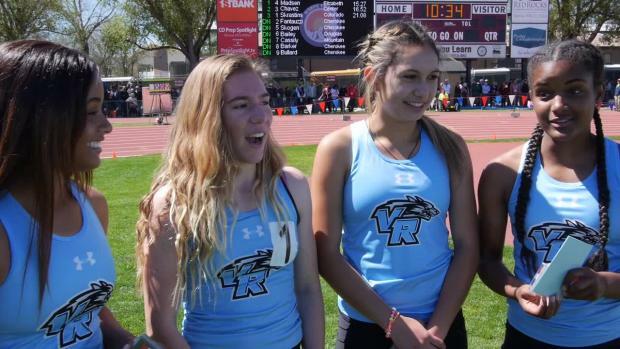 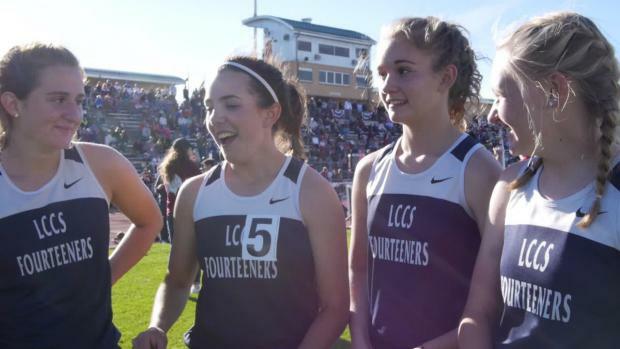 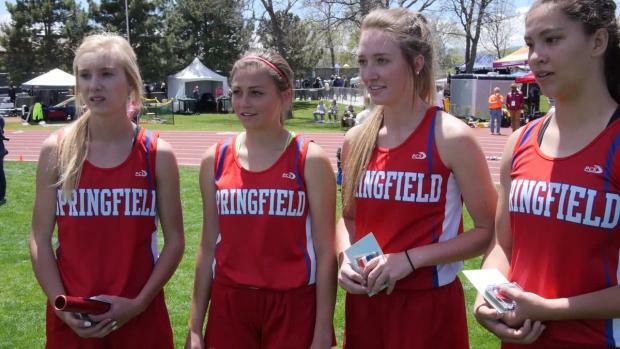 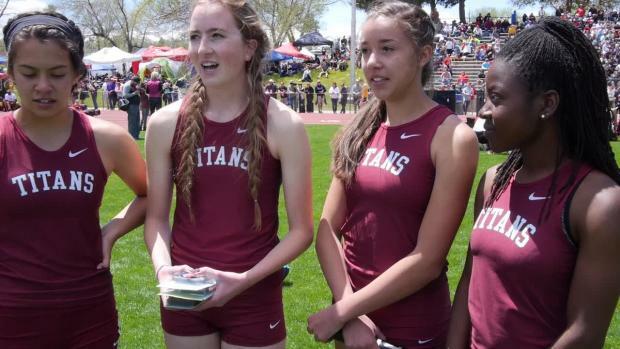 Lauren Offerman, Kasey Klocek, and Maria Mettler are just three of the faces in an absolutely loaded 4A Girls 1600 field. 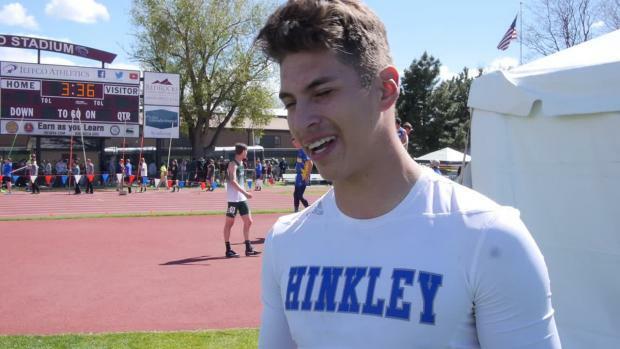 Iosua Maika could very well held one key for tipping the scales in favor of Fountain-Fort Carson this weekend. 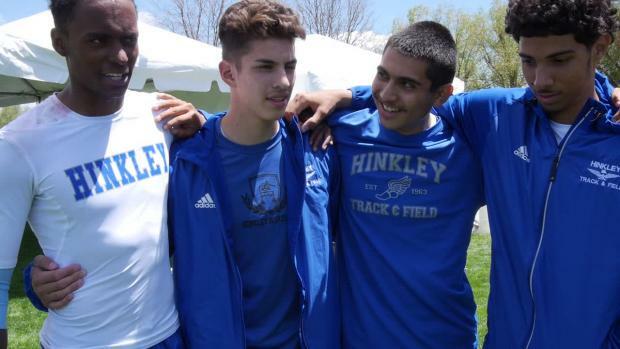 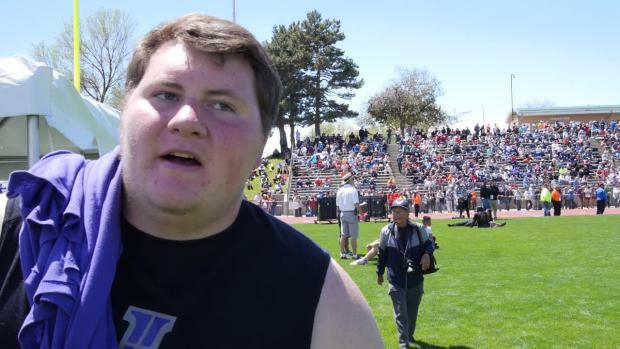 In the last year, Jacob Dack became remarkably proficient with the discus. 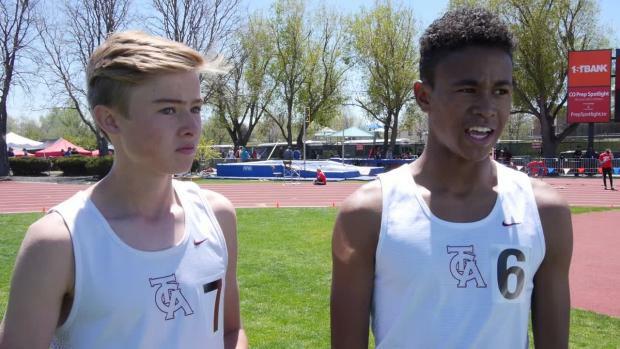 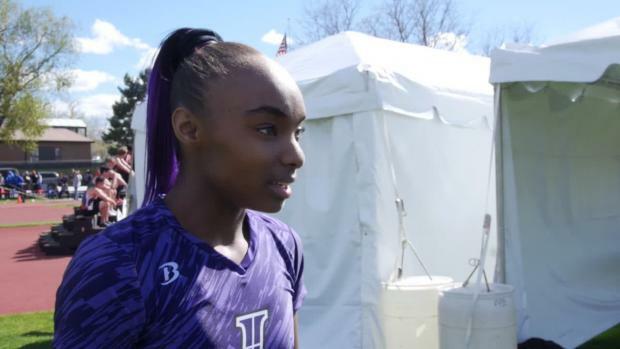 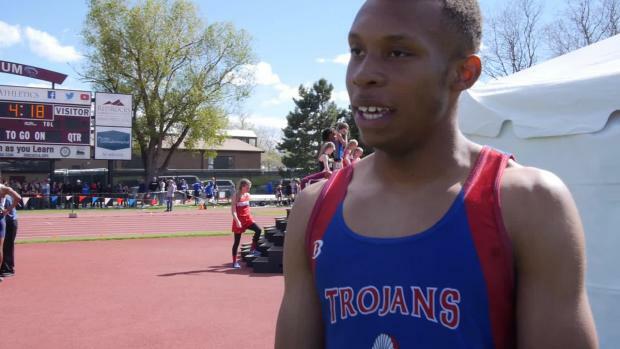 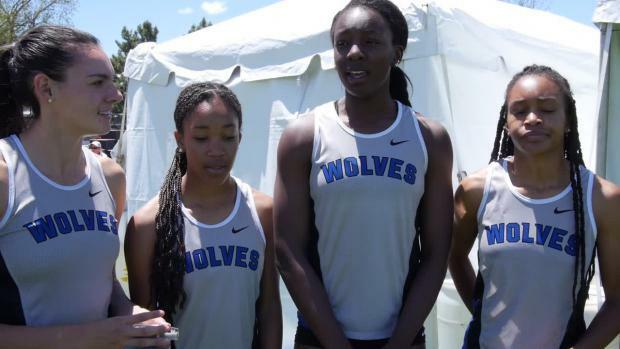 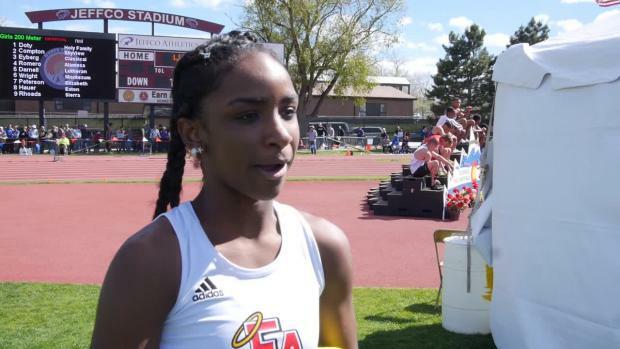 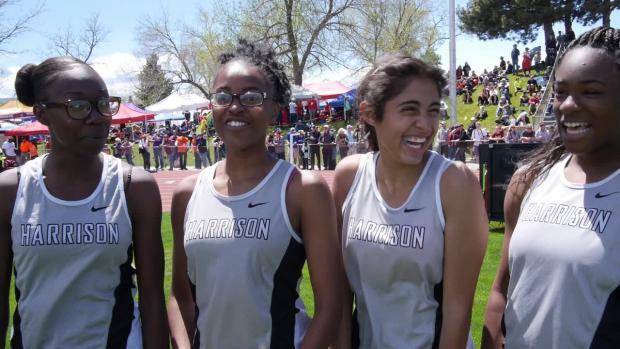 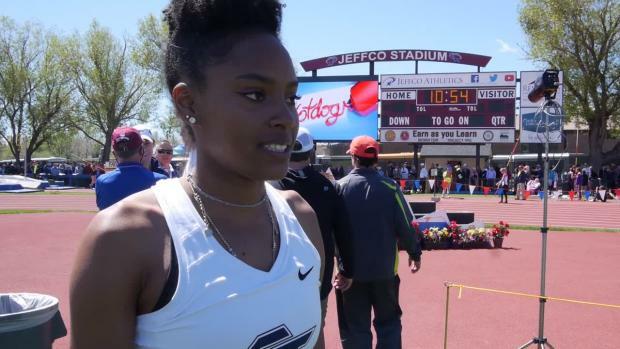 Chantae Steele and McKenzie Elliott gave TCA an early day two lift in the 800 meters. 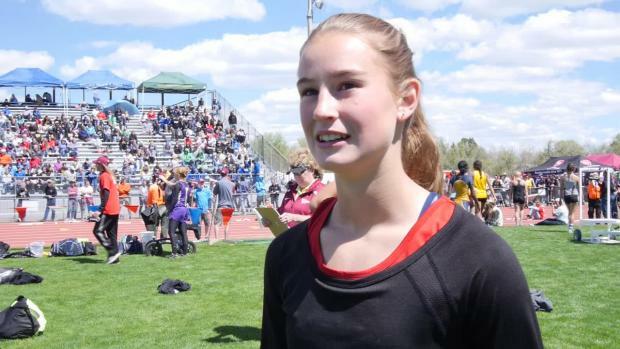 Hannah Wilkie of Hayden is this year's 2A freshman phenom in the 800. 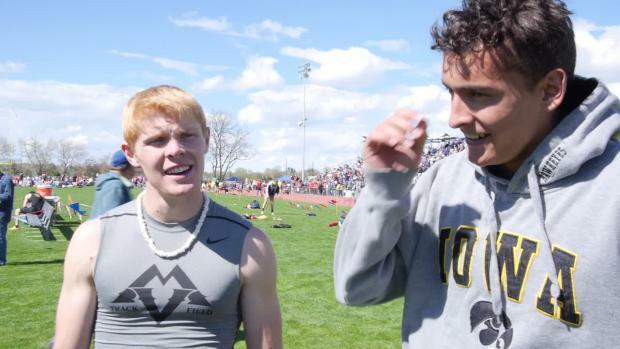 Yes, a long jump landing will bounce your spectacles. 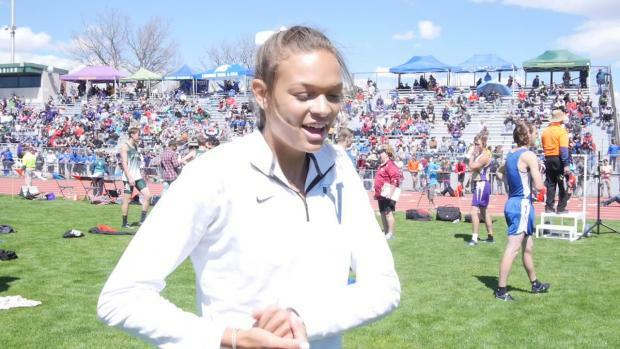 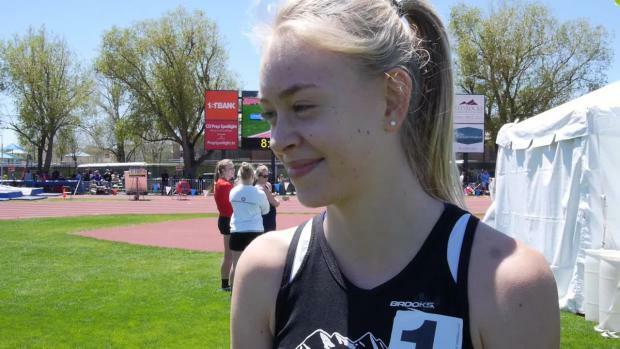 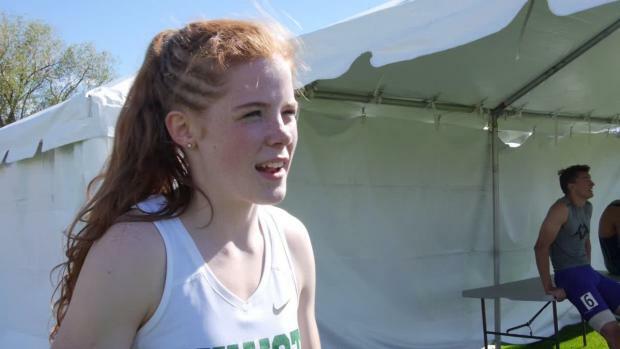 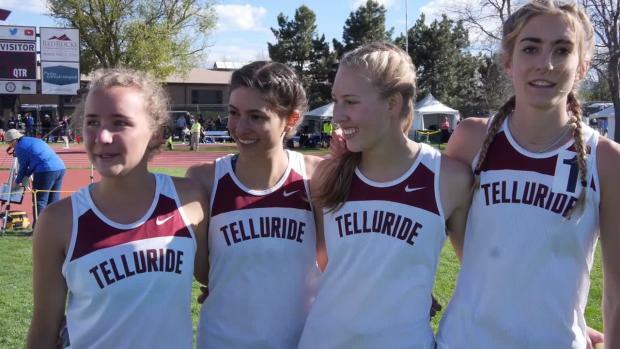 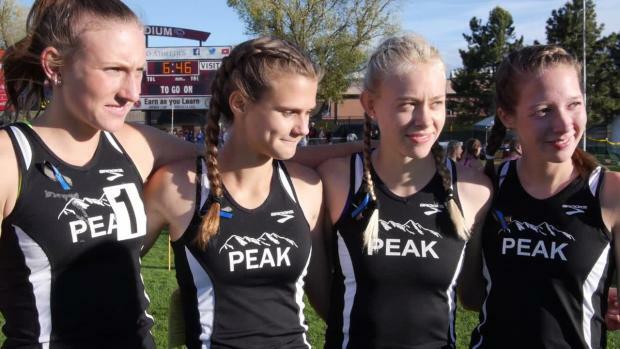 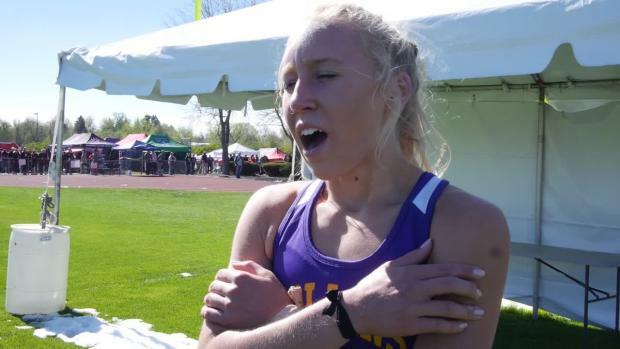 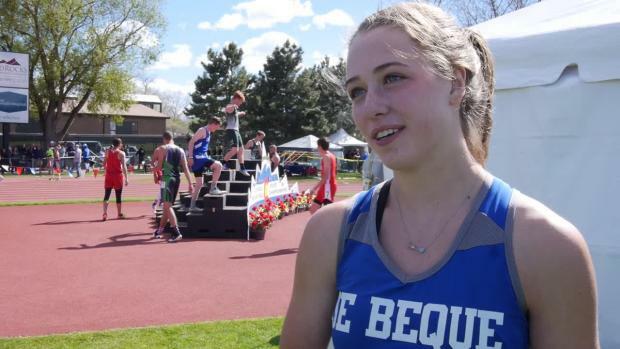 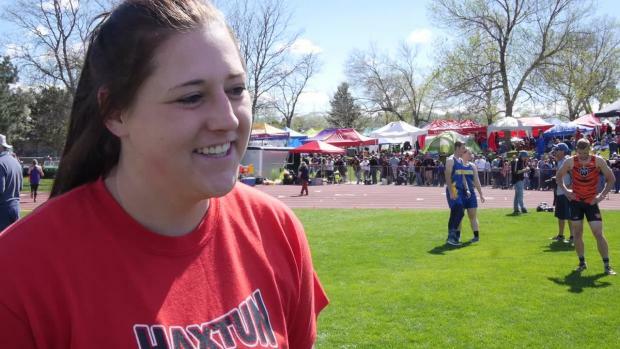 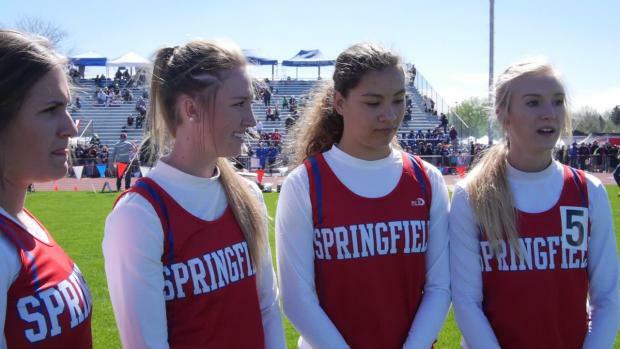 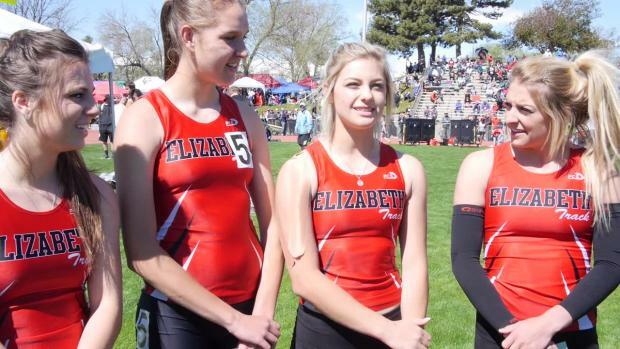 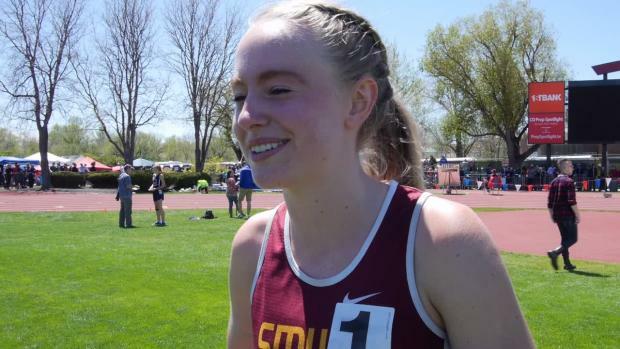 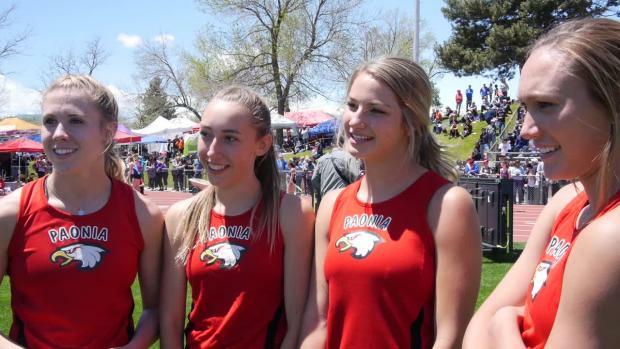 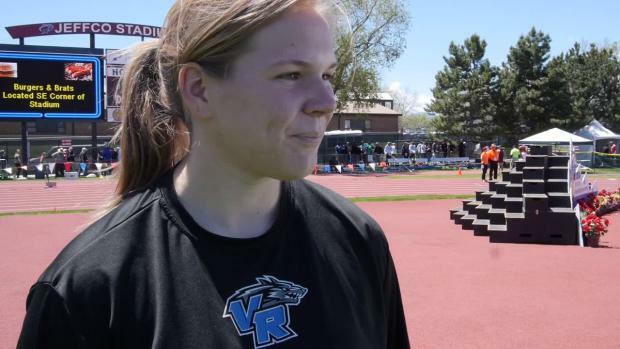 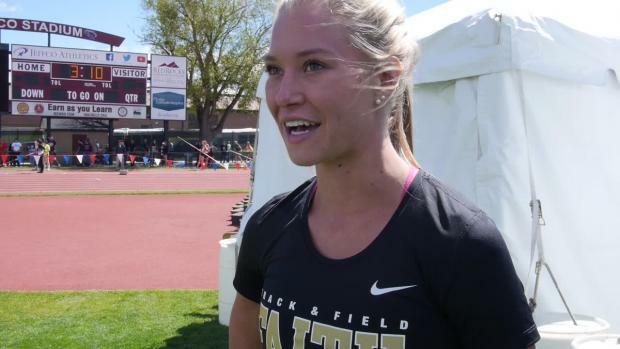 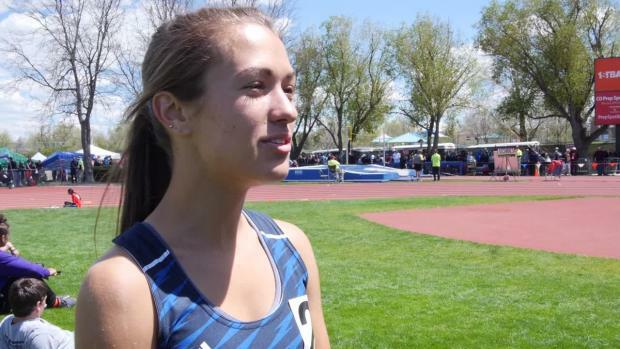 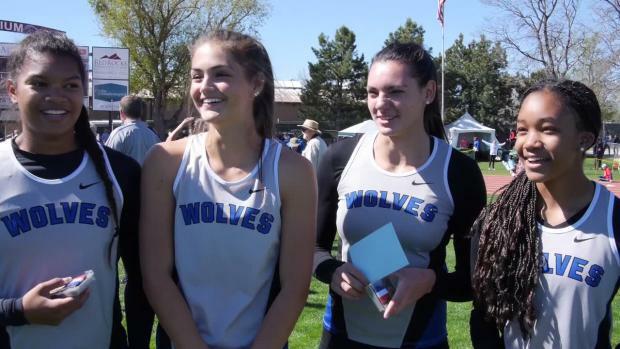 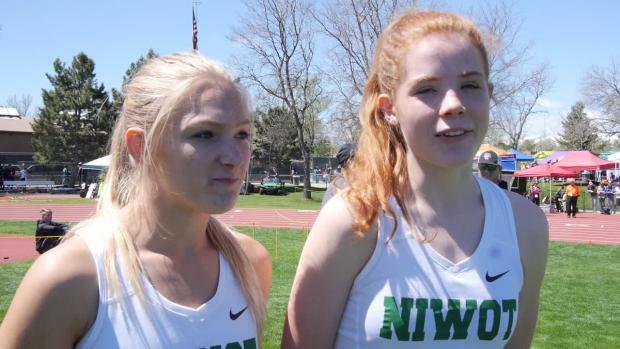 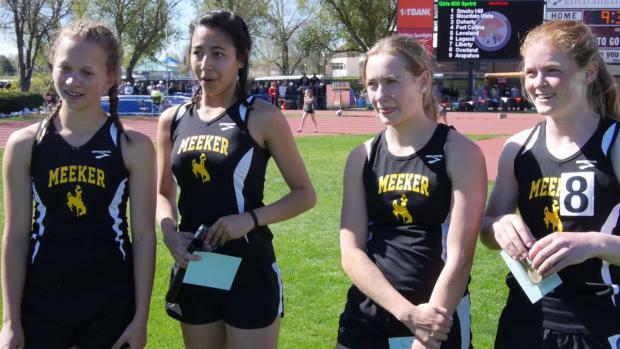 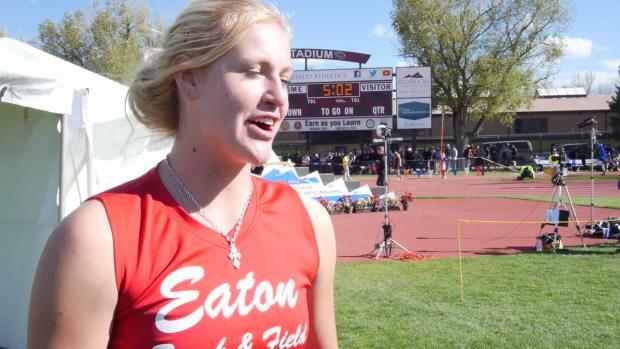 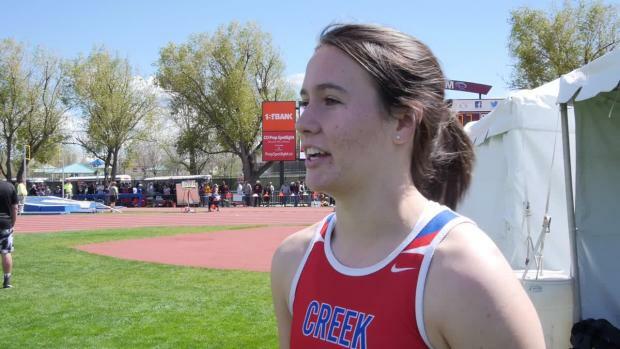 Heretofore, Emily Pieper has contributed at State mostly in the form of long jump points, but she was 200 meter money in the bank as well this weekend. 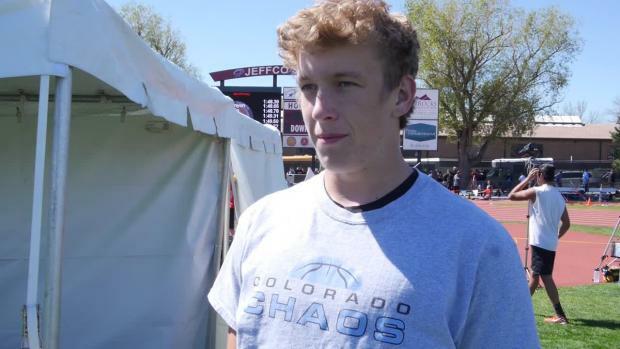 A moment from last year's Unified 200 Meter Dash at the Colorado State Track and Field Championships. 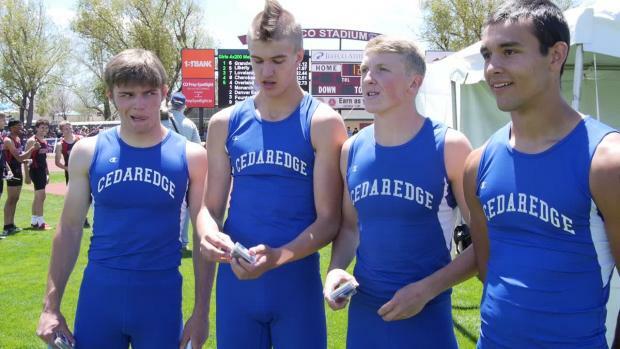 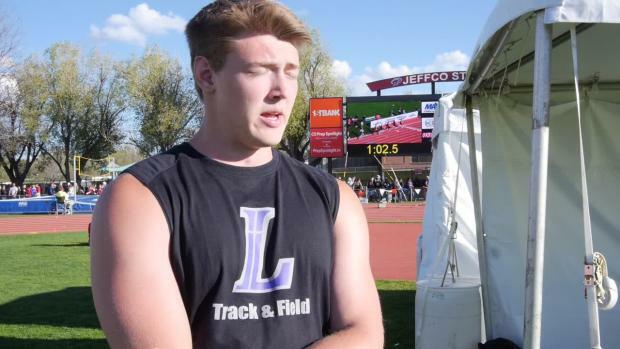 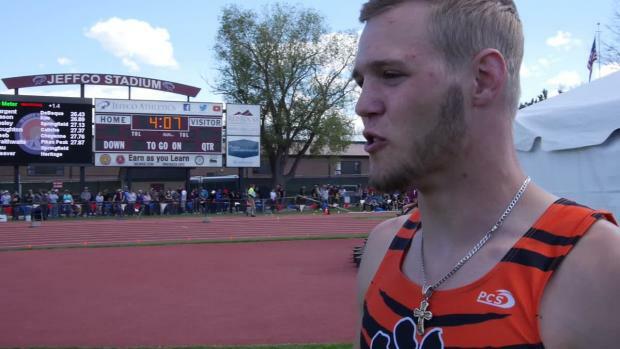 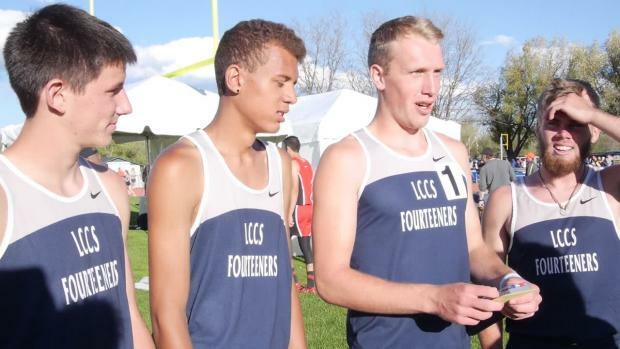 With a limited roster, Lake City very much needs guys like Izaac Borchers to come through with big meets.